You’ll find all the inspiration you need with CrossStitcher. Packed with beautiful designs and step-by-step tutorials for stitchers of all abilities, CrossStitcher is perfect for anyone who wants to get creative. Each issue comes with an exclusive free gift, along with a fun project to keep you busy. 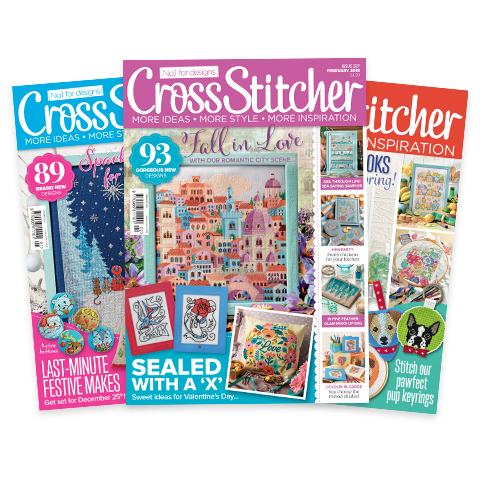 Whether you want CrossStitcher delivered to your doorstep or available to download on your smartphone or tablet, we have 3 subscription packages to choose from. Get your first 3 issues for just £1 when you choose our print only or print + digital package!